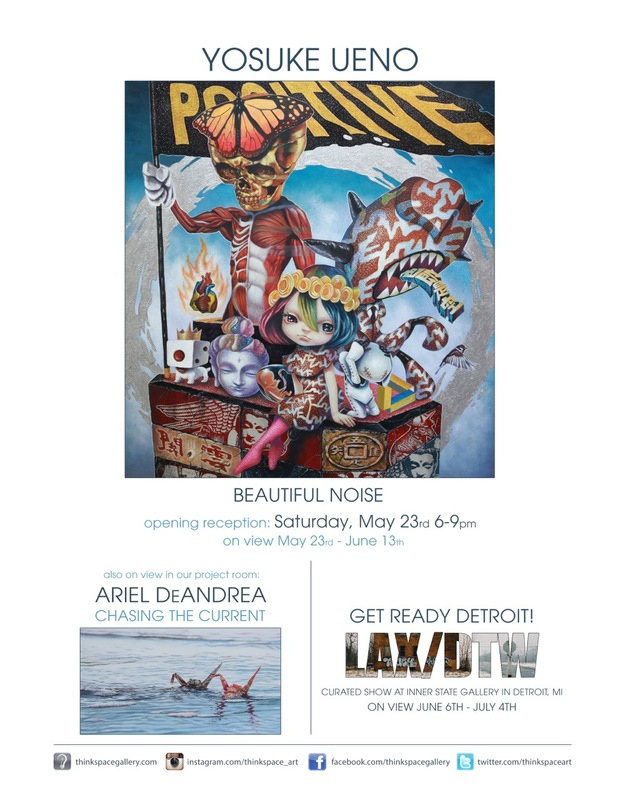 Thinkspace (Los Angeles) – is pleased to present Beautiful Noise, the gallery’s fourth solo exhibition for Japanese artist Yosuke Ueno. A self-taught painter, Ueno has been creating fantastic worlds and characters as long as he can remember. Highly stylized and beautifully imaginative, his works are surreal and emotional; an alternate reality expressed through a quasi-mythological orbit of his own making. Like tightly knit universes unto themselves, his bizarre and wonderfully unhinged worlds feature a recurring cast of characters and repeated motifs. 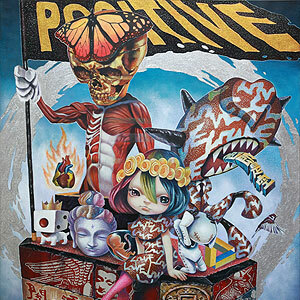 An intensely emotive painter who, by his own admission, allows his cathartic approach to dictate the development of his works as they’re made, Ueno’s take on pop surrealism is at times explosive and at others meditative, but is consistently seeking the reconciliation of darkness and whimsy.